6.4" x 8.3" stitched on 14 count. 4.9" x 6.4" stitched on 18 count. 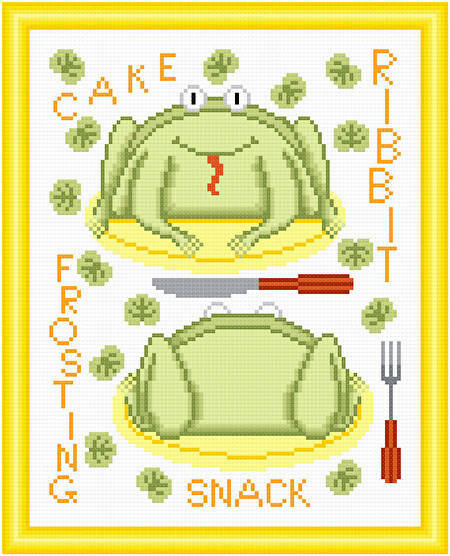 Cakes as Critters - Frog cross stitch pattern... This is a cake made to look like a frog with its eyes protruding on top. A real cake can be made - one 8 round layer cut in half vertically, pieces placed on the cut, bottoms iced together, features added with icing.